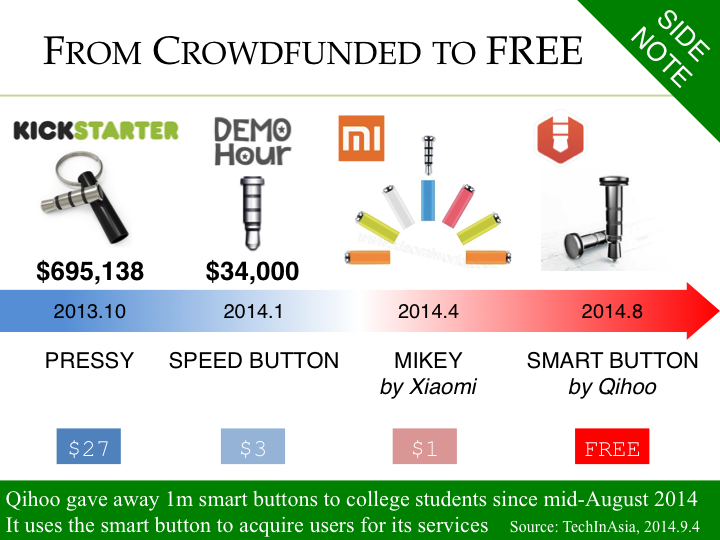 The smartphone button Pressy, which raised close to $700k on Kickstarter, is now a famous case – the latest development is the Chinese company Qihoo giving away similar smart buttons for free to drive people to its mobile services. This is effectively a new business model on top of a copycat product. 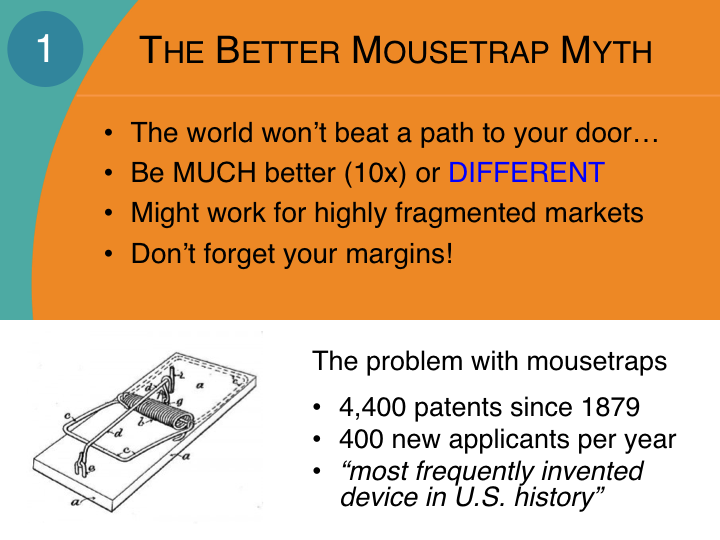 Pure hardware is hard to protect: take it apart and it can often be reverse-engineered. 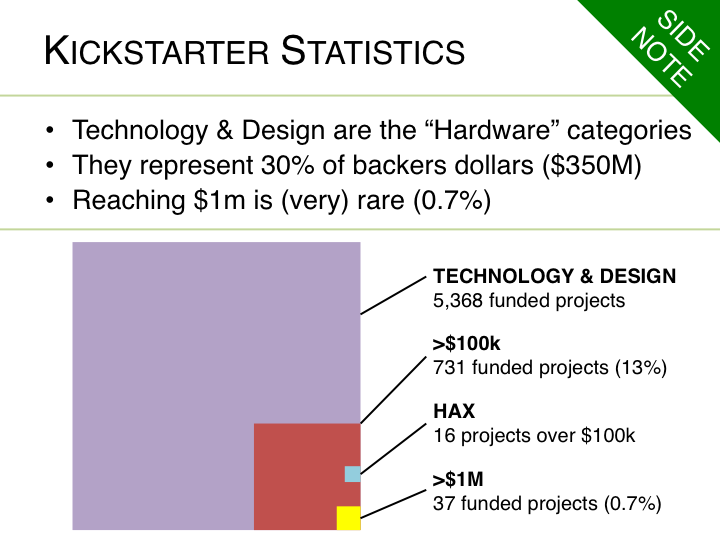 These days, beyond designs and patents there is “defensible IP” in software, algorithms, or a community that a crowdfunding campaign can help you build! Just like a successful campaign can be a “false positive” for startup potential, failing a campaign can be a “false negative” and does not mean there is no hope there. Some companies rise again in spectacular “Phoenix Campaigns”. The Coolest Cooler failed its first campaign in December 2013. 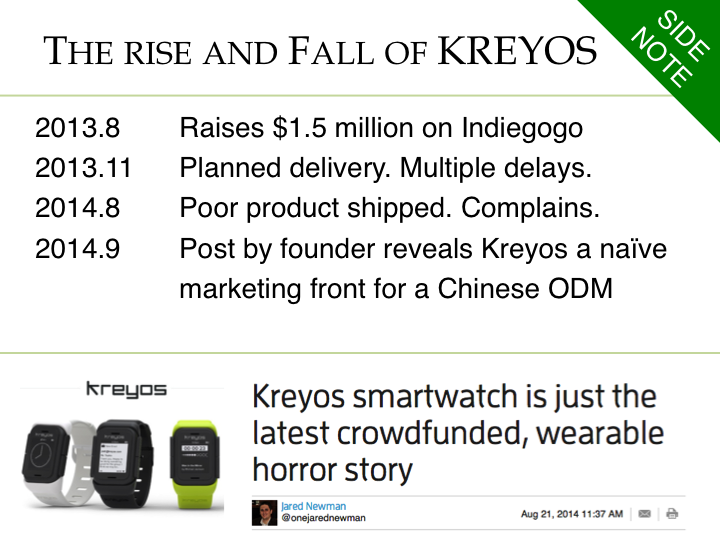 It became the largest project on Kickstarter in August 2014 by raising $13.3 million with an almost identical product. According to its creator, its successful rebound might come from an improved product, support from the first campaign backer, better timing (summer is better than winter for coolers) and overall better preparation. 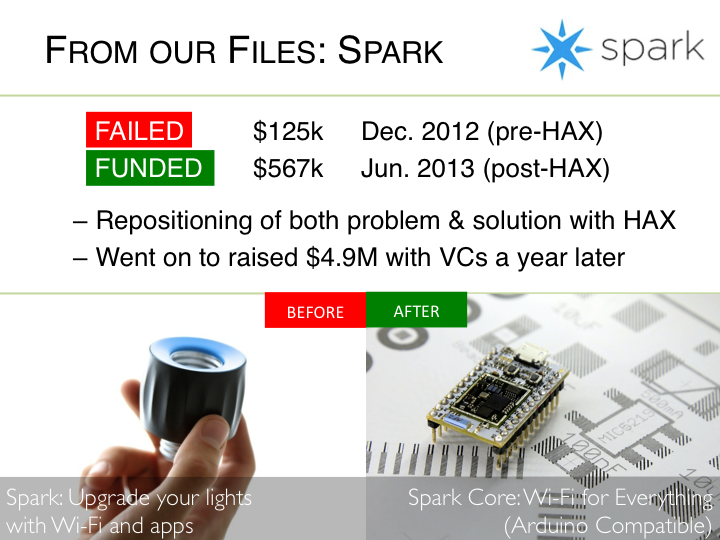 Spark, mentioned above, repositioned both the problem it was working on and the solution: after joining HAX it went from “Wi-Fi connected lights” to “Wi-Fi for everything” and raised over $500k on Kickstarter. Failing a first campaign has some advantages as it builds a list of backers and media you can reactivate for your second attempt. Yet, there are often multiple reasons why a campaign fails and figuring those out can be difficult. 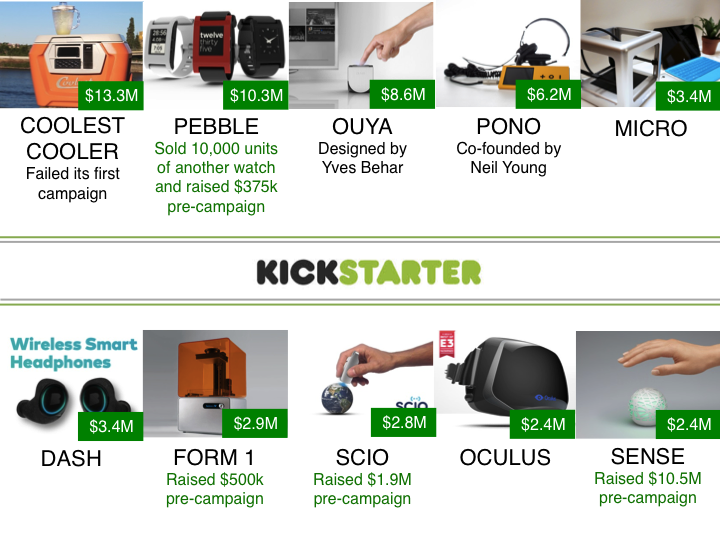 As it evolves, much is yet to be discovered about crowdfunding. Setting the right expectations and anticipating common problems can help all stakeholders (creators, backers, media and investors) reach their respective goals, and bring more ideas to life! The authors would like to thank Bunnie Huang, Evegeny Lazarenko, Matthew Witheiler and Zach Suppala for their contributions to this article. Applications for HAX 6 are open until mid-November, with up to $100k in funding. The world’s first “inactivity tracker” DARMA targeting office workers is live on Kickstarter. 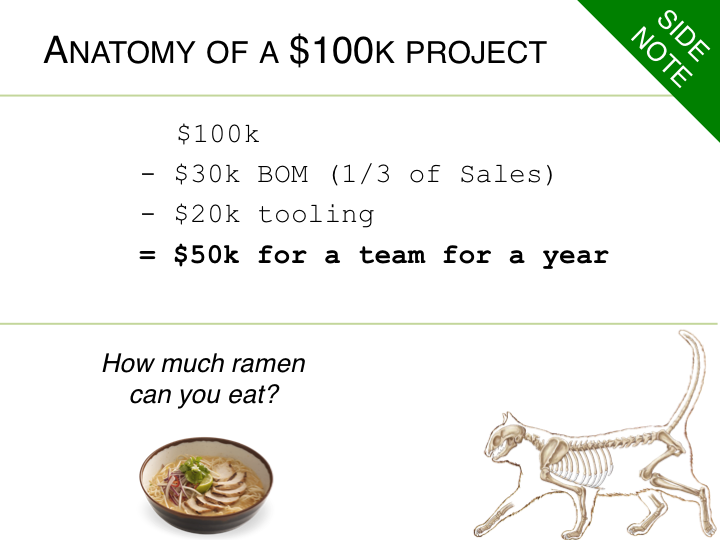 It is a HAX 4 graduate and is already 400 percent funded.